As Time Goes by, Musicians and Engineers Come Together Brilliant Products and Features That Can Improve and Inspire Any Guitarists Lives, Professionals or Amateurs. Here Are Seven Amazing Items You Can Get Your Hands On. ACPAD is the a Wireless MIDI Controller for Acoustic Guitar. With ACPAD, you have access to hundreds of instruments, sound effects and loops – right where you want them: on your guitar. ACPAD pairs with your computer (Mac OS / Windows 10) or iOS devices and works wirelessly (using MIDI over Bluetooth). You can also directly plug in ACPAD in to your computer via a USB cable. MIDI signals from ACPAD can be used to trigger samples from your computer / iOS device. The TriplePlay Wireless MIDI Guitar Controller system lets guitarists add a new dimension of excitement and control to their performances.TriplePlay lets guitarists go as deep as they want, or simply plug in and rock out — anywhere, any time. The iRig by IK Multimedia . In 2010, the original iRig allowed guitar and bass players to plug into their iPhone and use their mobile device to play, practice and record with apps like IK’s AmpliTube, Apple’s GarageBand and thousands more. iRig 2 builds upon the success of its predecessor by introducing essential new features — like adjustable input gain, cross-platform compatibility and a 1/4″ amplifier output — that will once again revolutionize the way you make your music while on the go. OMB is a new and revolutionary technology, that uses unique hardware and software, to enable guitar players of all styles and levels to skyrocket their playing experience and generate great sounding auto accompaniments in real time while playing. OMB can be used at home for practicing, live shows and everything in-between. Beginners and professional guitarists can add the Clap-on device to any existing acoustic or electric guitar (without damaging the guitar) or order a custom OMB guitar that has OMB technology pre-installed (”OMB inside”). OMB’s patented technology detects the signals from the strings and converts them to digital data without any latency. The signals are detected when holding any note, without even strumming the strings. An App on a smartphone or tablet picks up the signals enabling you to choose features like: auto accompaniment, solo playing, record and more. Tonewood-Amp met with UK fingerstyle guitarist Mike Dawes after his show with Moody Blues Justin Hayward in Tucson AZ. The ToneWoodAmp allows you to play acoustic guitar with different effects, UNPLUGGED – with the effects emanating organically from the guitar’s sound hole and the body itself. 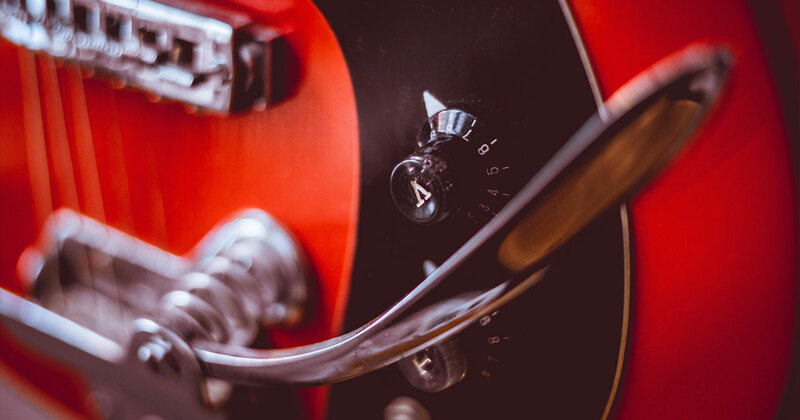 Similar to the way the strings excite the top of the guitar to produce sound, ToneWoodAmp excites the back of the instrument, producing sound waves of effects such as reverb, echo, delay, tremolo and more, which interact with the natural sound of the guitar itself. The ToneWoodAmp is also a multi-effect processor which you can connect with any Amp/PA system and is also an iDevice interface allowing you to experiment with audio and MIDI apps. Jack is the first guitar device to stream over Wi-Fi, plug into any guitar or amp to play wirelessly and connect to PC, Tablet or Phone. Created by Ingenious Audio backers, Jack is the ultimate wireless guitar tool – the first guitar device to stream using Wi-Fi. Simply plug Jack into any guitar, amp or pedal and instantly go wireless. Stream uncompressed professional grade real time audio between instruments, amps and devices. Then with no additional hardware, wirelessly connect to your favorite Wi-Fi devices like tablets, PCs and phones. BeatBuddy is a pedal and drum machine combo that gives performers complete control over the beat while playing live. So while you play your instrument, you also have control over the drums. We live-sampled professional drummers at full dynamic range to give BeatBuddy its authentic and organic sounds. When you hear the drum patterns and start to control them live, it’s truly like a human drummer playing along with you. And just like signaling your drummer, you can easily get BeatBuddy switch it up. Great products!! However…none of these are “Guitar Innovations”. They’re more like electronic innovations specifically used for guitar.